Plush comfort with its high supportive back, the Denney Accent Chair features thick channel tufting and roll pleated arms, covered in an oatmeal linen blend fabric complete with an added kidney pillow. Designed by Carolyn Kinder International. Available to trade professionals at Uttermost.com. 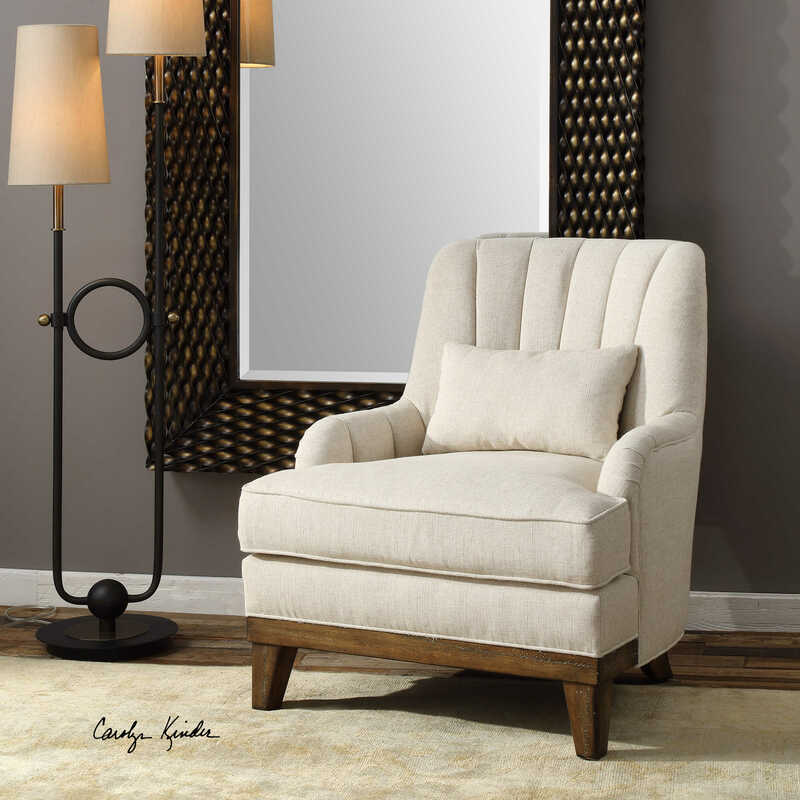 For retail purchase Google search term “Carolyn Kinder Denney Accent Chair”.